The value of an investment may go down as well as up and an investor may not get back the full amount invested. Please note that past performance is no guide to future performance. An investment into the Fund may only be made on the basis of the information set out in the prospectus. Any material available is directed only at persons in the UK and is not an offer or invitation to buy or sell shares. Lowes Wealth Ltd is not able to provide advice on investors' suitability for an investment in this Fund. Opinions expressed on this website represent the views of Lowes Wealth Ltd at the time of publication. These are subject to change and should not be interpreted as investment advice. 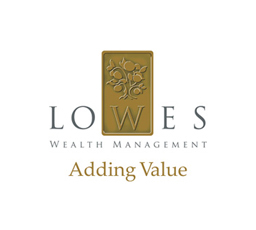 Insofar as the Fund's trading history is limited, performance calculations on this website prior to December 1st reflect the returns achieved by the strategy and personnel employed by Lowes Wealth Ltd in the management of its clients' discretionary portfolios. The Authorised Corporate Director of the Fund is WAY Fund Managers Ltd.